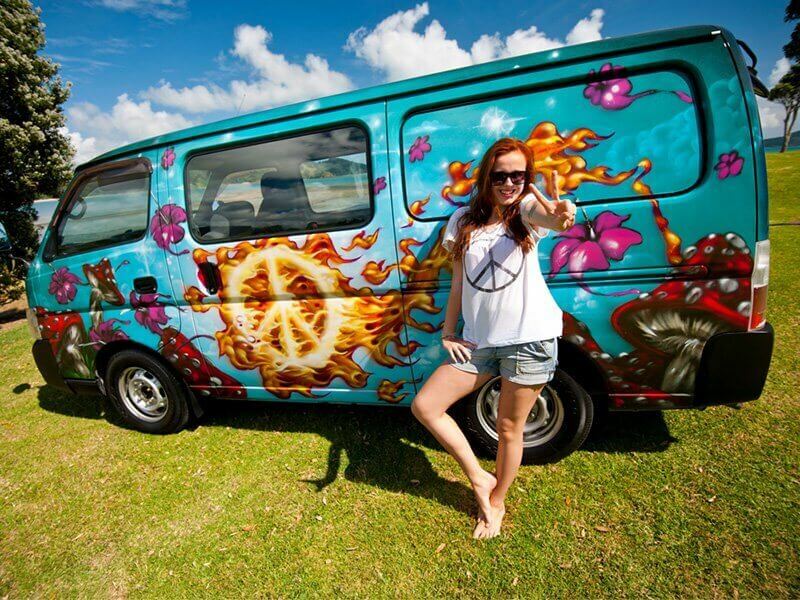 Campervan Hire Prices NZ, Hot Deals & Great Discounts. Escape Rentals is constantly checking our competitors campervan hire prices to ensure our customers get great value for money. To get a quote, enter your travel dates, pick-up and drop-off depots and campervan type in the booking form and, if available or applicable, a discount will be applied automatically. Alternatively, you can contact us via email to lock in one of the great deals below (or feel free to contact us if you need more information). Your no-obligation quote is valid for five days. It is also subject to availability. To convert your quote to a booking, it takes just a $300 credit card payment which is processed online securely. The balance is payable when you collect your campervan. We’ve loaded a 5% discount for you ‘earlybirds’ out there. If you’re looking to travel New Zealand next summer (Nov- March), NOW is the time to book. You can lock in an Escape Camper for just $300 deposit and we’ll also give you a 5% discount for booking early (this will generate automatically on your quote/booking). Get a quote and make your booking today. New bookings only – subject to availability. Can’t be used in conjunction with any other deal. Additional days may be available on request. Escape Rentals reserves the right to decline bookings or withdraw this offer at any time, without notice. 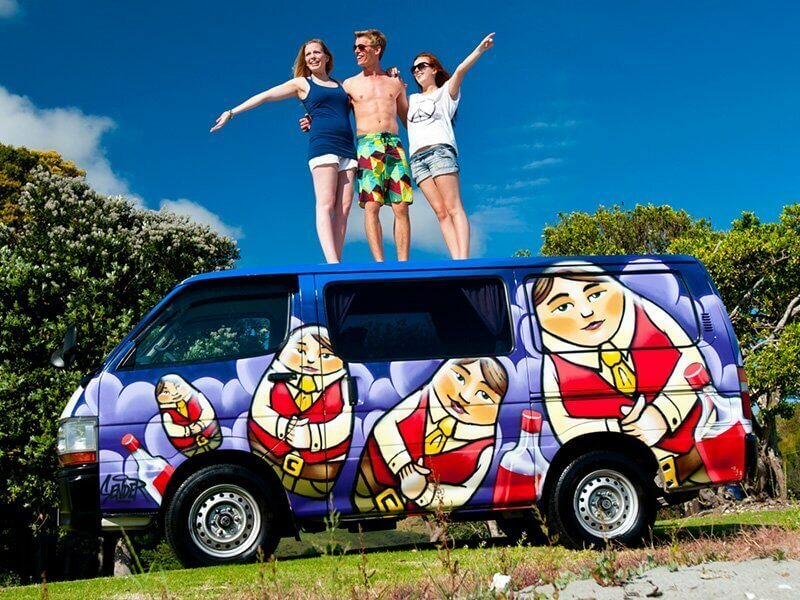 One way hires (CHC to AKL, AKL to CHC) have a 10% discount. Same island hires (CHC to CHC, AKL to AKL) have a 20% discount. Offer applies to hire rate only. The booking system will automatically display the discount on any quote generated online. Low hire rates for May 2019 travel – from $19 per day! 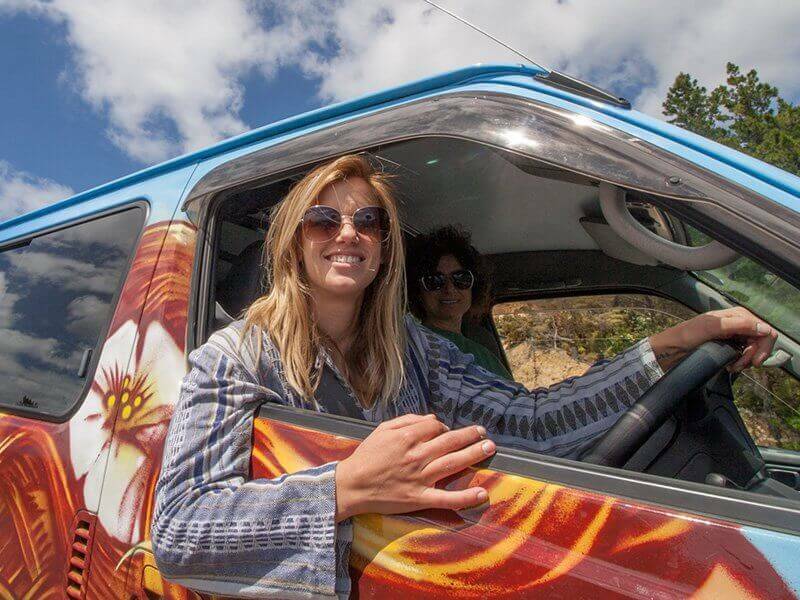 Low hire rates for June – September 2019 travel – from $15 per day! * All Deals and Discounts are available for new bookings only – subject to availability. Deals can’t be used in conjunction with any other deal. Additional days may be available on request. Escape Rentals reserves the right to decline bookings or withdraw this offer at any time, without notice. Prices are per day and include GST (tax) unlimited kilometres, insurance, multiple drivers, 24 hour roadside support, all cooking and living equipment, guidebooks, maps, and more. All quotes are valid for 5 Days. When you make a reservation with Escape Rentals, a deposit of NZ$300 is required. This is a secure payment made online via credit card (Mastercard and Visa). You then simply pay the balance and any other costs when you collect your vehicle. There is a 2% surcharge when you pay by credit card but we’ll waive this if you take additional vehicle insurance with us. Speaking of insurance, check out the three insurance options available. Important – Please note that if you choose Option A (‘Roll the dice’) you will need to ensure you have sufficient funds available on your credit card to enable us to freeze your refundable* bond ($3,000). This is transacted when you collect your vehicle. 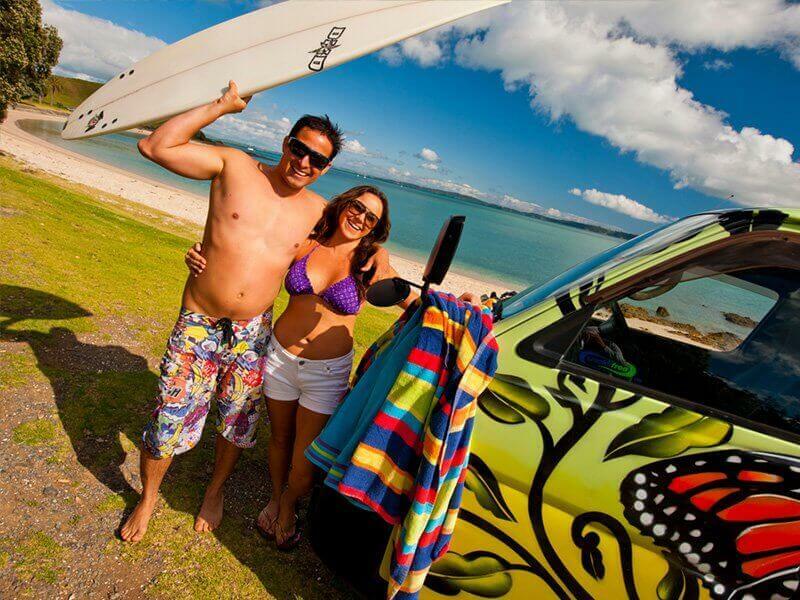 Escape Campervans operate with seasonal pricing. 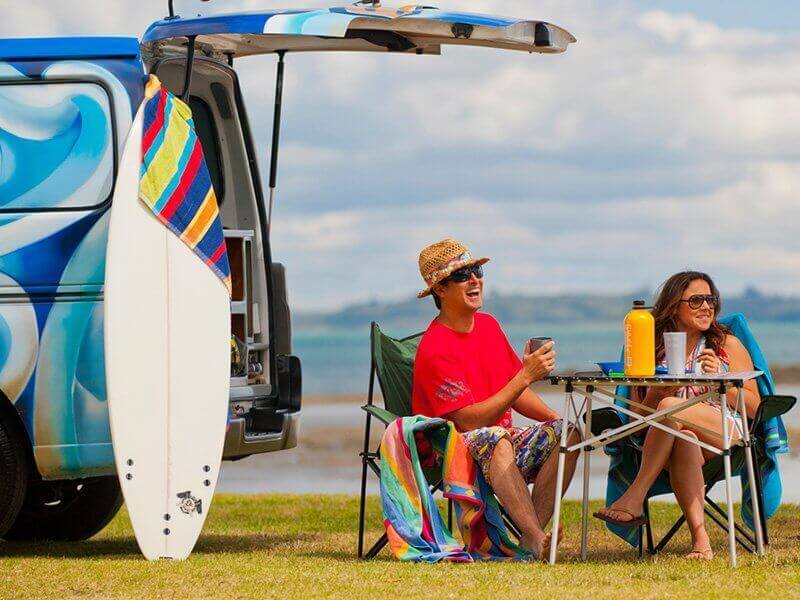 If your intended travel dates cross over two different rate periods, your rental will be charged based on the number of days of campervan hire incurred in each period. 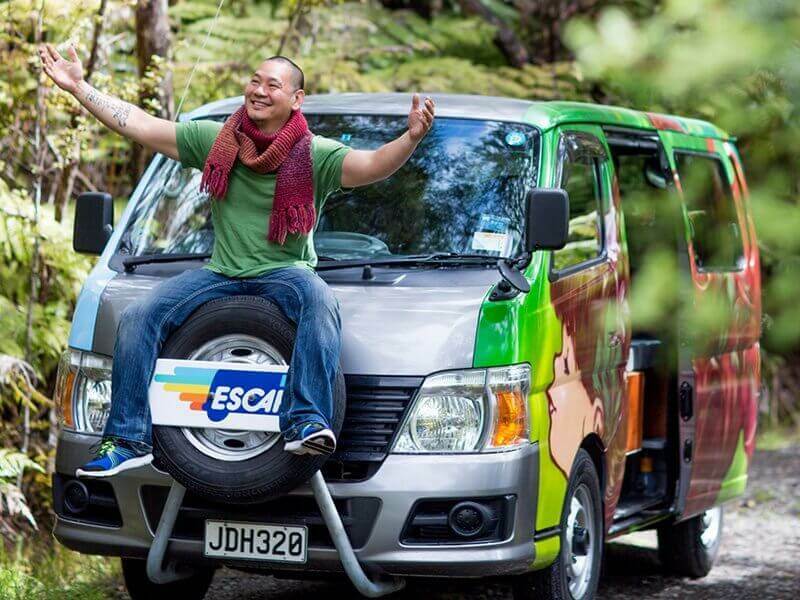 Escape Campervan rates are charged on a calendar-day basis. If you pick up your camper at midday on Saturday and drop it off at midday on Sunday, this hire would be calculated as two days hire, not 24 hours. This is because campervans take some time to groom and prepare. This is standard within the wider New Zealand campervan industry. *Bond is refundable provided the van is returned in the agreed condition, at the agreed depot and on the agreed date. If you cancel your confirmed Escape reservation within 7 to 21 days before your scheduled pick up date, you will be charged a cancellation fee of $300 (deposit) or 20% of your total hire cost, whichever is higher. If you cancel your confirmed Escape reservation on day of pick up, or you ‘no-show’, then you will be charged 100% of your gross rental cost. If you return your Escape Campervan early for any reason whatsoever after travel has commenced, then no refund is available (please ensure you have travel insurance). If you collect your Escape Campervan later than your booked/scheduled pick up date, there is no refund for any used unused days and any unused days cannot be transferred to the end of the hire. Minimum one way hire between Auckland and Christchurch (or Christchurch and Auckland) is 14 Days – Be safe. Don’t rush. Optional insurance excess reduction options. Optional accessory items (picnic table, BBQ etc). All parking, camping and traffic infringements, including toll roads. Travel smart guys. And that’s about it! See, there really are no hidden costs.